Thought it was impossible to go out with the family without spending a fortune? Think again. Local zoos, aquariums, and museums often have hours with discounted rates or free admission. Additionally, young children can often get in for free. Memberships are a great option for families that frequent a place and often offer extra perks when it comes to parking, food, or souvenirs. If your family is full of movie-lovers, consider spending an evening watching a film outdoors. Usually local parks, schools, or churches will offer family-friendly movies outdoors for a low rate, if not for free. Plus, yummy snacks and popcorn are usually sold for much less than what a movie theater would offer! Likewise, if you have an interest in sports, spend an evening supporting local high schools and colleges’ various sports teams. High school games are typically free, and colleges rarely charge more than $10. Furthermore, minor-league games are much less expensive to go to than major-league games. Check the community bulletin board or newspaper, often found in libraries, for inexpensive activities to do with your family. If you still want the sports without the arena prices, spending the day at the local park can be a great alternative. Many parks have sports complexes or fields, so bring a couple of balls, and your children will be entertained for hours. 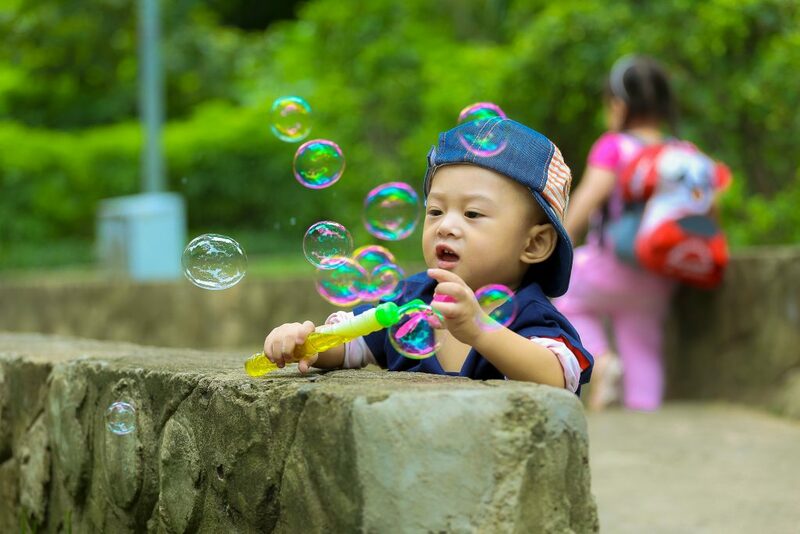 Some parks also have playgrounds, small water parks, trails for hiking or walking, ponds for fishing, and more, making them a great option for a family that has a variety of interests. Parks are especially great options in the summer because they are usually open longer and offer a variety of free concerts or events. If your family is more artsy than outdoorsy, try checking out the concerts or plays at the local elementary, middle, or high schools, as well as colleges in the area. Oftentimes, tickets are under ten dollars, and if you call ahead to reserve seats, you can buy at a discount. Another great free alternative is the library. Often, the children’s department has computers with parental controls enforced and child-friendly games. Libraries also have story time for children, and sometimes “books on tap” or book discussions for adults. In the children’s department, many libraries have toys to play with. At many libraries, you can check out computer or video games, board games, movies, CDs, and passes to amusement parks, museums, zoos, and aquariums.